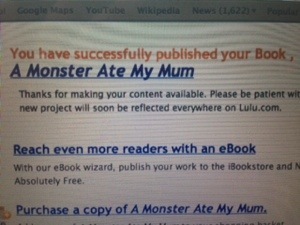 Now, I’m not sure if I’ve banged on about it enough, but I recently I self published my A Monster Ate My Mum poem. The response so far has been overwhelming and I’m thrilled. It’s an amazing feeling to know you have reached out to people and are helping others that have suffered or are affected by post natal depression. The process of self-publishing has been exhausting, but extremely rewarding, and now I’ve done it once I am confident it will be easier next time. And…oh yes…there will be a next time! Which brings me to today’s poem for Prose4T, hosted by the lovely and tremendously supportive Vic Welton Now this is very much a work in progress, but I wanted to get a feel for whether it would work or not. The idea was originally called ‘The Why Monster’ and was intended to focus on a children’s tendency to always ask ‘why?’ Over time it has developed into more of a magical, imaginative adventure story and, as I’ve just written a book about monsters (did I mention that already?!) I have changed it to a cowboy…but who knows, it could end up being a pirate or a spaceman! Wanted to read his favourite book. It was on a shelf, way up high. He loved that book, he loved to read. It was a very good book indeed. The challenge was to think of how! ‘Hello!’ The little cowboy cried. Alf looked at mum, and then the book. He went to climb, she went to cook. Oh how Alf wished that he were tall. Self-Publishing Part 2 – I did it! 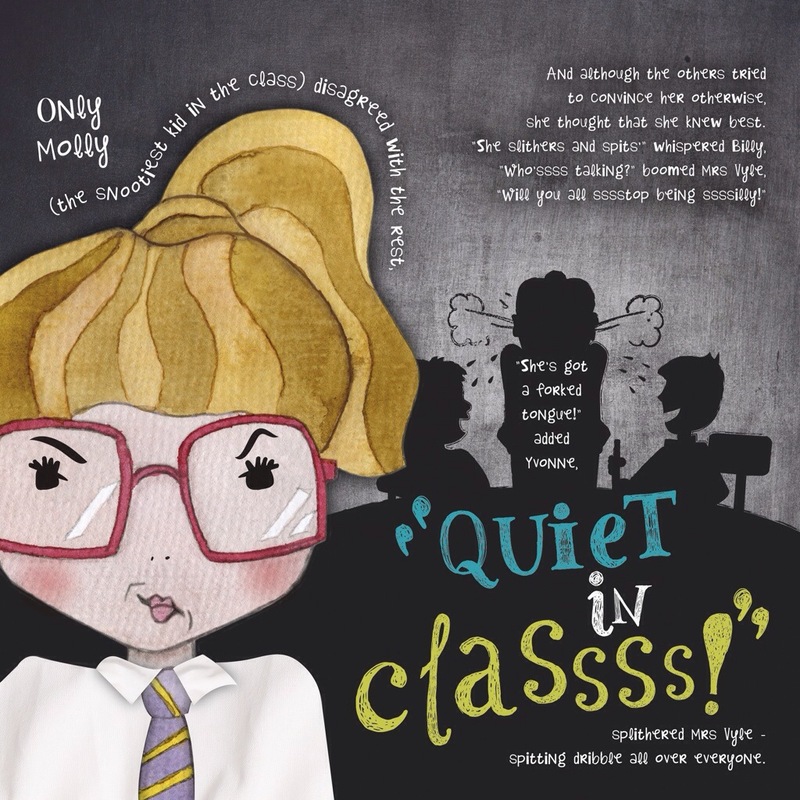 I am so excited to be writing this post to let you know that I did it…and that I am officially a self-published author (even though no-one has actually purchased the book yet lol!) My last post detailed how I was planning to spend all day Friday tackling the self-publishing technological minefield until the book was for sale. I was very nervous as I’m not at all IT trained, and have learnt most of my skills through blogging and being self hosted. I was however, determined not to be beaten. The day started with a visit to my oldest friend who has just given birth to her first child, a beautiful baby boy, and so the publishing had to wait. It was so worth it though as he was absolutely gorgeous and cuddling newborns is always so wonderful. We chatted childbirth, breastfeeding and nappies before I left them to feed and nap. Having spent most of the day before in email contact with Helen Braid, my illustrator, I felt confident that I had all of the correct files I needed, and in the correct format. I had the front and back covers as separate files, as well as the inside of the book, all in PDF format and in high resolution. If you ever need to send someone a file that is too big for an email then I can highly recommend using mailbigfile which is just amazing. 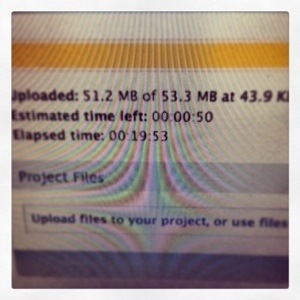 You can email large files and the recipient can easily download them via the link. Brilliant! It was perfect for us on Thursday as the files did need to be adjusted and then resent. Helen was amazing! I think it was a learning curve for the both of us. So, down at my desk I sat. I had already set up an account with Lulu and had chosen the size of the book (21.59X21.59), the binding (saddle stitch, only option for a small book), full colour, and for it to be printed on basic grade paper. This last option disappointed me a bit, but because I haven’t yet got an ISBN I had no choice. Lulu do offer free ISBNs but Lulu then become the publisher and I wasn’t prepared to hand that over! So I decided (with the awesome help of @wombat37 again!) that as this was my first project it was better to start small and work on it. Once my ISBN comes through I can then add it to the book and distribute widely through Amazon and Barnes and Noble as well as the Lulu marketplace. I clicked on ‘choose file’ (at this point just the inside of the book) and then clicked ‘upload.’ I sat nervously staring at the screen whilst it uploaded. It began by saying it was going to take 15 hours which I thought was a bit excessive, but in the end it only took 20 minutes or so! Now I’m not ashamed to say that at this point I did sit at my laptop and have a little cry. I couldn’t explain how I felt; I felt such a amazing sense of achievement mixed in with feelings of luck and joy that I was better and had been able to have the drive and commitment to see this book through. I’ve never really felt as proud of myself as I did in that moment. I’ve always been very determined, especially when I believe in something, and I believe in this book so very much. The next thing I had to do was set a price, based on what it was going to cost Lulu to print the book. I found this very difficult as I always undersell myself, so I have taken a lot of advice on the price, and I think I’ve got it right! I ordered myself a copy and paid a stupid amount of money so it comes as quickly as possible, I will not believe it’s actually published until I hold a copy in my hands. (and see that the paper isn’t as bad as I think it might be) Today’s post hasn’t arrived yet, but I think I’m being optimistic in thinking it will be today; I’m hoping for it to be here by the end of the week. And when it does arrive, and I can see for myself how it looks and feels, I can spread the word and start marketing and publicising the book. I’ve already got several brilliant bloggers who have said they would love to review the book, and Netmums would like to feature it on their blog and website with a giveaway. It is PND awareness week in November and I hope that my press release (hopefully writing this today, do not know where to start as always!) will be available so that everything is good to go to coincide with that week. 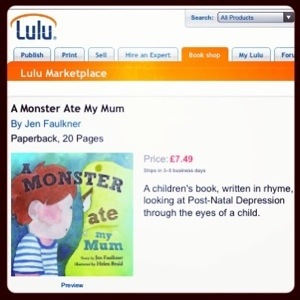 As I have said before, I’m not very good at ‘bigging myself up,’ but I hope A Monster Ate My Mum will help families who have been affected by Post-Natal Depression, and that in itself is motivation enough to shout about the book from the rooftops. Each week was magic. Time to be me. Time to be creative, to fill my brain with thoughts other than the dark ones that had plagued it for so long. We talked. We listened. We shared and empathised. (as well as drinking tea and eating A LOT of cake!) We made amazingly creative things, brooches, necklaces, paintings. It was during our last session that I was asked to go onto the radio by Philippa, who works for Creativity Works. It was to be an interview with Dr Phil Hammond on BBC Radio Bristol and I was to talk about my experience of PND and about My Time My Space. I jumped at the chance. Excitement obviously quickly turned into nervousness, but I knew that I desperately wanted to speak out, to be as honest as I could be about my experiences of PND and hopefully help others. 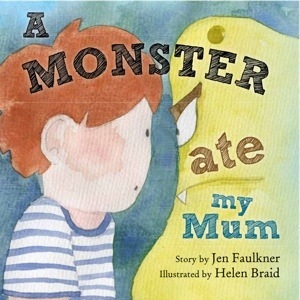 I had also read my story ‘A Monster Ate My Mum’ http://instinctivemum.wordpress.com/2013/05/02/the-monster-story to Philippa and she thought we should try and have it read out on the air too.